Connie & Malc Thanks once again to the Cleaning Fairies in 2018. We arrived home on 2nd January 2019 to find our home had been nicely cared for earlier in the day. Also Lori came to let us into our apartment when we had a key crisis after our holiday last summer. Generously he made no charge. Keep up the good work in 2019! Miss Polly H Lastly, we just want to take the opportunity to thank you and your team. We work away quite often and it is so nice to come home towards the end of the week to a lovely clean flat. They always seem to manage to get the little extras done that we ask, like changing the bed, at no cost to the quality of cleanliness in other areas. Please pass on our praise and keep up the great work! 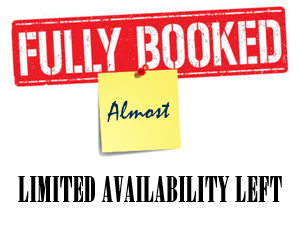 We can take bookings by phone on Monday to Friday from 9.00am to 5.30pm. Or use our contact page any time and we will get back to you as soon as we can. 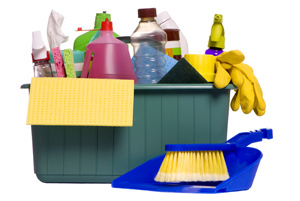 We can do regular cleanings on weekdays from 8.30am to 5.00pm. We can do one-off cleanings on weekdays usually after 4-5pm, however check for availability as we might are able to offer you something during the day. We could do Saturdays or Sundays but in this case you need to book us at least for 6 hours. We use quality cleaning products, cloths and equipments. We have wide range of cleaning products like Mr Muscle, Cif, Method, Cillit Bang, Dettol and Ecover. Our cloths are 100% microfiber which makes our work more professional. These cloths can remove 20%-30% of bacteria from surfaces without any cleaning products. To ensure not to spread diseases we have a colour code and we will never use a previously used cloth in another clients' home. For the floor we use Numatic Henry or Hetty and Karcher carpet cleaner devices. We clean houses, flats, commercial places, or whatever needs to be cleaned indoors. We do weekly, fortnightly, monthly regular or one-off cleanings like end of tenancy cleaning, spring cleaning, oven cleaning or carpet cleaning. We work in teams, sometimes 2 but mostly 3 cleaners are provided. That means we can do a job in half or third time. If you get a quote for 3 hours, that means 2 cleaners can do it within an hour and a half and 3 cleaners can do it within an hour. Because of the power of the team we can do jobs much quicker and also we can do more jobs on certain days. Actually clients do like this as we will disappear quickly leaving nice scents and tidy houses behind. When did we start Cleaning Fairies? We have started Cleaning Fairies in 2011 August though we have more than 4 years experience in the cleaning business. Also we have experience in other customer services, we are polite and always willing to help. How are we accomplishing what we claim to do? The most important for us to keep our clients on a high satisfactory level. We provide very high standards in cleaning. After our work everything will be sparkle and spotless. We are flexible and there is no contract. Though if you decide to be one of our happy client it means you accept our Terms and Conditions. Usually a couple of days notice is enough to take on a new cleaning. We are coming weekly or fortnightly always on the same day but if something happens to you and you want us to come on a different day or you are on holiday we are not making a fuss about it. We always do what is the best for our clients. We always turn up and mostly in time. If we are late more than 15 minutes we always let the client know what happened and when are we expected, a lot depends on the traffic and sometimes we have to travel longer distances. We have a 24 hour guarantee on our job, which means within a day we accept any complaints and we will come back to redo what we have missed for free. We have highly trained cleaners in black uniforms whith the company logo on the front and the back. If you got used to a cleaner and she is on holiday we provide another cleaner in the same uniform and you can trust her as she will do the cleaning on the same level of standard. We are able to remove scale, mould, dirt, grease and make your home sparkle. Your home is the most important thing for you so is for us. You do not have to be at home while we do the cleaning, sometimes it is not even possible for you. 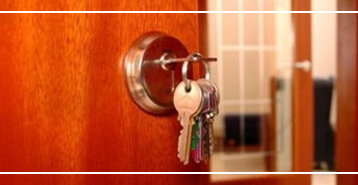 You can trust us to give us your keys to gain entrance to your home. We have a strict key policy, we are CRB checked and we have public liability. Our services are available 24/7. We stand down only for a week around Christmas. 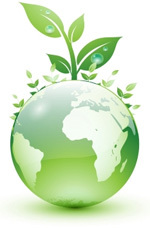 At Cleaning Fairies we are trying to protect the environment. We have a paperless policy, which means we are not printing unnecessary pages, actually we have not even got a printer. We do all our paperwork on computers, instead of letters we are sending e-mails and we recycle all of our bottles. All method products are 100% eco-friendly and made to protect our future. We believe in green energy. We are following a colour code for cloths. Using colours will help to prevent any infection spreadings from one area to an other. We always use a different cloth in every houshold and we would never use a used cloth. All the clothes are disinfected at 90°C before reusing them again. We use microfiber clothes made with latest technologies. Doing the end of tenancy cleaning by yourself is not always the best plan of action. Especially for big houses and jobs that need to be finished in time, your best bet is to really rely on our professional end of tenancy cleaning service. Another thing that you have to remember when hiring professional cleaners is that the price is more or less relative. You have to understand that there are no two venues alike, and while the cleaning company might have a standard list of rates, the final fee you pay for will depend on several factors like the size of the venue itself, the number of fixtures and furniture they need to clean, the value of the pieces they'll be cleaning, and all that. We have a standard rate though, but this is only used as a guide and your final fee is usually different from the initial quote. 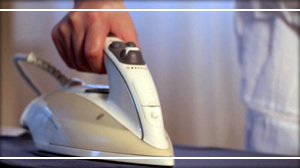 Ironing is right at the top of many peoples lists of their most hated domestic chores and thats fine by us! Whatever your ironing needs we have a service to suit you. Whether it's your whole week's ironing or just a few shirts, when it's all become too much, we will collect from your home or place of work and return it within 2-3 days. If needed we are happy to put all the ironing to their place. Furthermore you do not have to be at home when we pick up the ironing, you can leave them in a safe place or grant us access. Ironing is returned folded or hung depending on customer's preference.